Following several singles and two EP's, NINA is set to release her debut album, Sleepwalking in what she describes as her most personal work yet. Now with the release of her debut album - 'Sleepwalking', NINA has already generated a wealth of buzz and has captivated audiences across Europe and the US, all leading up to this exciting release. Produced by Oscillian, Richard X and Sunglasses Kid, Sleepwalking creates the illusion of timelessness over eleven tracks as it rejuvenates an 80's synthwave musical aesthetic while simultaneously presenting a modern pop vibe. NINA's lyrical depth paired with instrumentals that are both dynamic and delicate create a quality sonic experience. The first single and title track to release from this is 'Sleepwalking', a perfect example of what thrills are to be expected in the full album release. Thriving with pulsating warm 80's styled synth hooks and massive vocal thrills scattered throughout, NINA's entrance into 2018 with this single kicks off to a thunderous pace and is sure to catch on to her patient and excited fanbase. 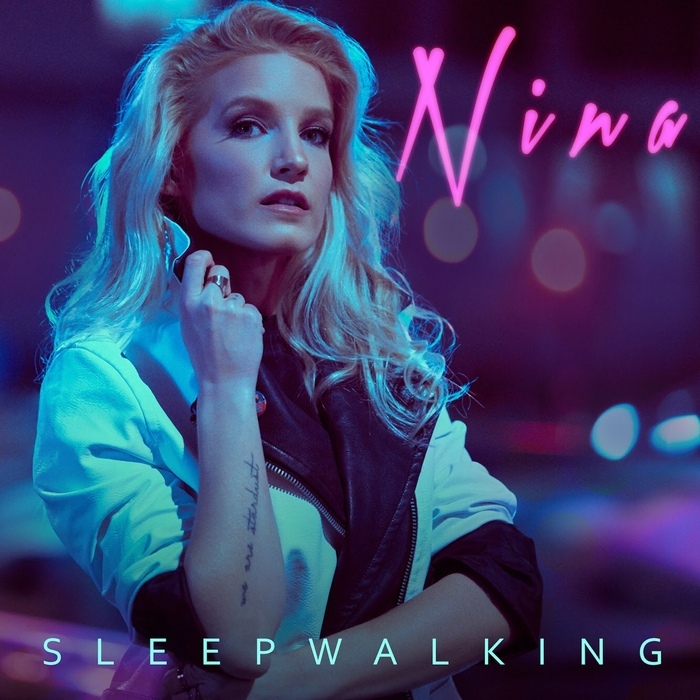 NINA comments more on the title track; "Sleepwalking is one of the more upbeat songs on the album, full of arpeggiators and pulsating synth sequences. This track was produced by Oscillian and it's about how we subconsciously become protectors of the ones we love and care about, almost as if we were a hunter in a trance, or sleepwalking. It also talks about how people can dramatically change throughout a relationship. I'm very excited to finally release my debut album, which is entirely for my fans. They've been super patient and supportive all these years".